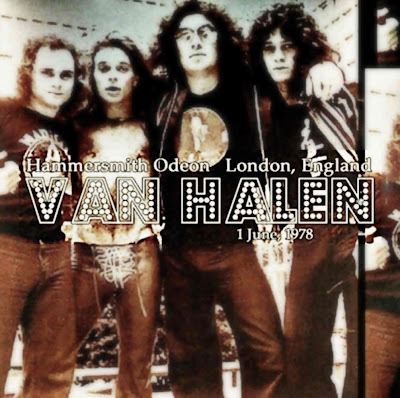 Recorded Live at Hammersmith Odeon, London, England - June 1, 1978. Excellent Soundboard Recording :: MP3 CBR 320 kbps & FLAC. 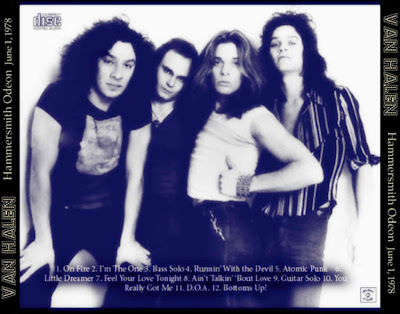 Personnel: David Lee Roth – lead & backing vocals, Eddie Van Halen – lead & rhythm guitar, keyboards, backing vocals, Michael Anthony – bass guitar, backing vocals, Alex Van Halen – drums, percussion, backing vocals. Notes: Audio quality is A+. It doesn't get any better than this from 1978! This is a soundboard recording that also has some audience mixed in with it. Very nice! The last track, Bottoms Up, is cut mid-song. This is the way the master tape is/was. (Info taken from vhboots.com). Top performance and great sound quality (9,5/10). Thank you very much for this diamond!